Tooth-care from dentists who know the drill. Some tortures are physical, and some are mental, but the one that is both is dental. Solving everyones inept fear of the dentist starts at home with tooth care. And not the kind of toothcare that requires desperatley trying to brush six months of plaque off, 30 minutes before a dentist appointment. Doc Box set out to provide easily accesible dental care, with a straightforward, enjoyable experience in an industry otherwise tainted by stigmas. The driving force behind the brands inspiration was proactivity. Focusing on the urge to handle oral care before it becomes a health concern, and an issue aesthetically. With a tonuge-in-cheek marketing approach, and brand to match, we wanted to inspire a rally against those cartoon plaque monsters we were shown as kids. Taking into account the personality of the clients, I went to research on notable dentist figures. 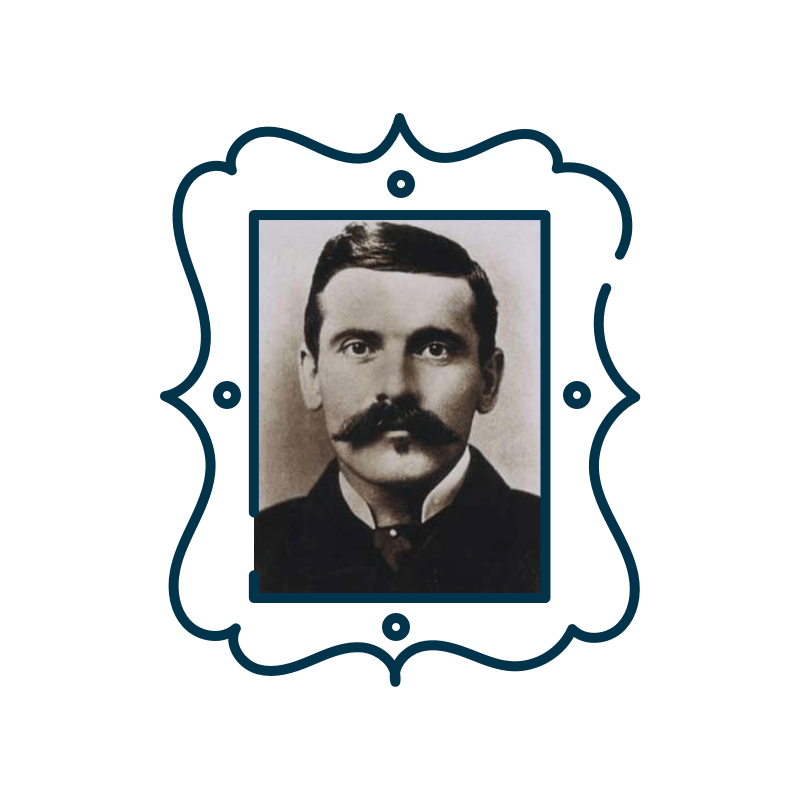 Though a few prestigious, none stuck out as much as Doc Holliday. Badass American gambler, gunfighter, and more importantly, dentist. Taking Holiday’s name, and the fact that this is a monthly box subscription service, in came the name Doc Box! I modeled the icon after Holliday’s infamous mustache. Paired with hand lettered geometric type and an additional favicon for flavor, we had a brand. Early advertisement mockups take advantage of the brands icon, displaying a large array of demographics holding the “mustache” in an attempt to distract from and/or cover their teeth. 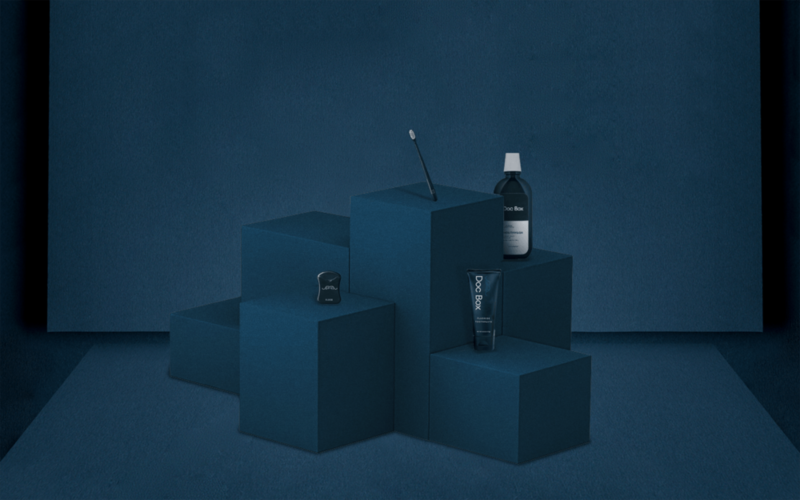 Social media campaigns would feature photography of the Doc Box products paired with additional items refering to the caption posted with the image. Both were meant to emote a sense of humor, as well as being high in quality.